If you expect to get good results with your Email Marketing, you need to be sure you’re messaging is always hitting your prospects right between the eyes. Most small businesses start out with a “blast” approach to email marketing — aka, sending out one message to all subscribers and calling it a day. While this is certainly better than nothing at all, it’s certainly not going to deliver impressive results. 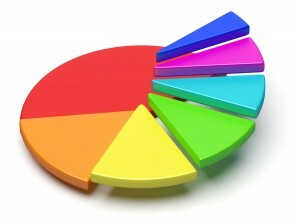 The key to email marketing results is List Segmentation. This blog post offers an introduction to help you get started with List Segmentation 101. You already know “the money is in the list.” But what you might not realize is that treating your list as a single entity is a very very bad idea. The most important reason to segment your list is your prospects and customers simply do not want to be treated the same way. Each prospect wants to feel like exactly what he or she is — an individual with very specific preferences, interests, history, background, etc etc. To NOT segment your list is to make the mistake in thinking that every single contact on your email marketing list is one-in-the-same. Even in the most specific of niche markets, this is never the case. There will always be different lists within your list. The better job you do of narrowing down each segment, the better results you’ll get with your email marketing (and any other form of marketing, really). List segmentation begins with collecting the right data from your prospects. There are several key moments in a prospect’s or customer’s experience with you that are best for capturing this segmentation data. The first and very best time to capture segmentation information is immediately when your prospects join your list. If your prospects are joining your list via your website, you want to put them down at least 1 or 2 multi-step lead generation forms. Capture the lowest amount of information first and then move each prospect down your lead generation funnel through 1 or 2 additional forms to ask and capture more relevant data about them. In order to make all of this work effectively, you’re going to need the right tools to pull it off. Personally, I use and highly recommend Infusionsoft for email marketing and list management. Infusionsoft is the only tool I’ve found that allows for dynamic list segmentation, email marketing, and list management all under one easy-to-use application (and at an affordable price for small businesses). A robust tool like Infusionsoft is necessary if you want to do the most advanced kind of list segmentation. Other tools like Aweber and Mail Chimp allow for some basic segmentation, but eventually you’ll want to graduate up to something more sophisticated. List segmentation is really about delivering the right message at the right time. The more you learn about your prospects through data capture and data analysis, the more control you’ll have over what kinds of message each segment of your list receives as well as the best timing and best format of those messages. Are you segmenting your list? What best practices would you add to this list? Please leave your comment and questions below.